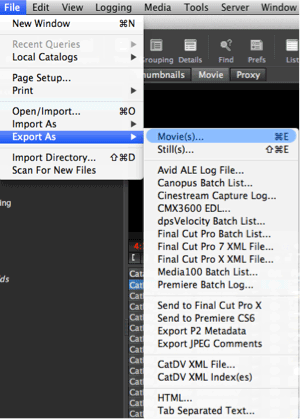 With CatDV you can easily export selected clips, or selections within clips, as a movie. 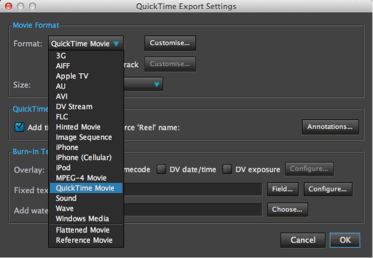 You can use any of the many codecs supported by QuickTime or Xuggle, including MPEG-4 and H.264, and you can create both small reference movies or self-contained flattened movies. 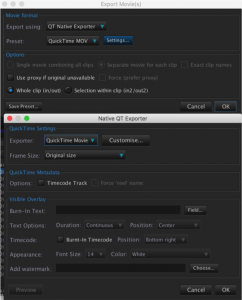 Under batch options you can choose whether to export a separate movie for each clip or concatenate them into one movie. 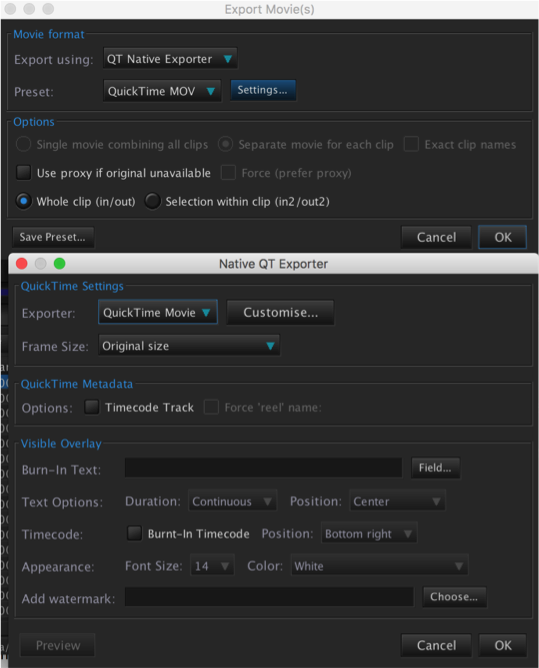 The export options allow you to add a timecode track or burn in text from any field within CatDV, for example you can export a movie clip with the name, date, status or version number of the clip burnt in . You can choose whether the text should appear continuously (until the next clip starts) or for a fixed duration. Annotations with copyright information and author details can be added to the file metadata.